On your mark, get set, go! 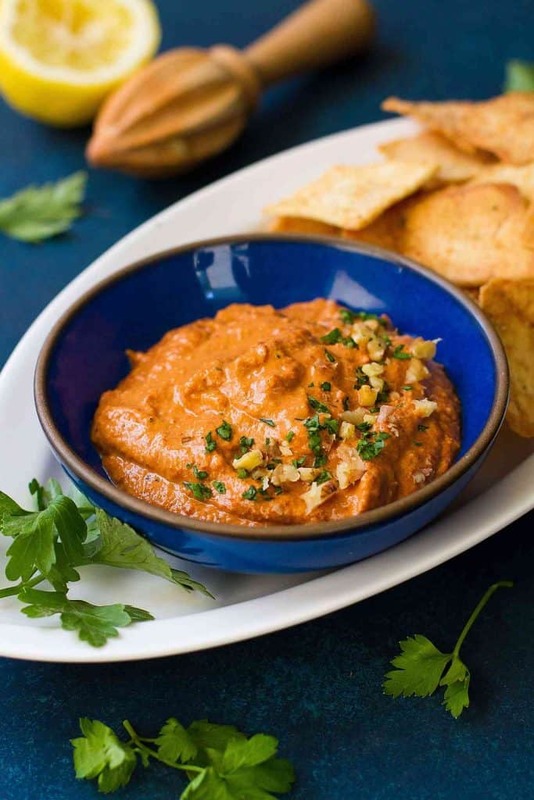 In 5 minutes, you could be snacking on this easy, healthy and completely addictive roasted red pepper dip. This pared down version of Muhammara is great for appetizers or snacks! 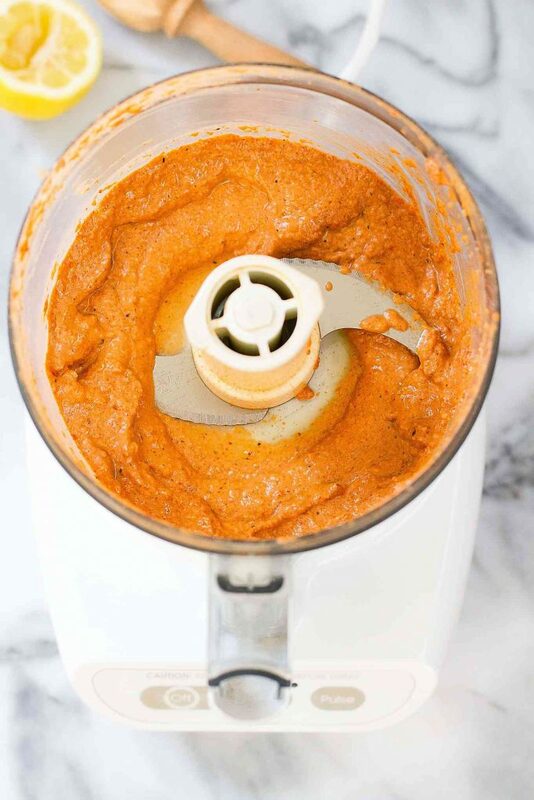 My 15-year old pretty much summed up our feelings about this roasted red pepper dip after just a few bites. “Okay Mum, this is what you have to do. Find a dip company and make them taste this because they’re going to want to sell it at the grocery store!” He then proceeded to sit down with a bag of pita chips and polish off the ENTIRE THING in one sitting. Note to self: Make a double batch and hide half from the teenager. Well, we have the taste question out of the way. Next up…convenience. Did I mention that this dip takes five minutes to make? 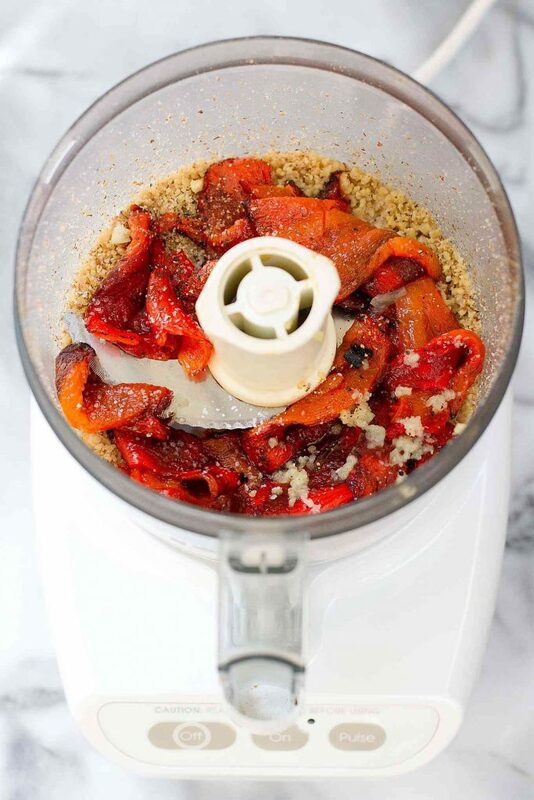 If you’re a meal prepping kind of home cook, add some roasted red peppers to your prep list. Not only are they the star of this dip, but they’re flavor-packed additions for salads, pizzas, sandwiches and pastas. If you’re not in the roasting kind of mood, grab a bottle of water-packed roasted peppers at the grocery store. They’re great to have on hand for a quick pop of flavor. 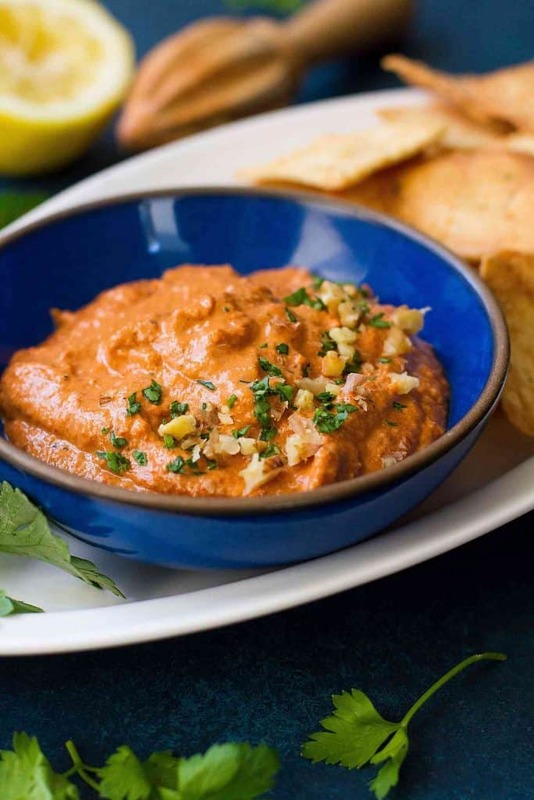 There are plenty of roasted red pepper dip recipes out there using almonds as the base, but I was aiming for an easy version of the classic Middle Eastern spread, muhammara, which uses walnuts rather than almonds. Traditional muhammara includes pomegranate molasses, cumin and sometimes breadcrumbs, but I went for a pared down version of the spread, highlighting the flavors of the roasted peppers, toasted walnuts, garlic and a squeeze of lemon juice. Not only do walnuts lend a distinct flavor, but they are powerful antioxidants and are highlighted in anti-inflammatory diets. We served this dip, or shall I say my son inhaled this dip, with pita chips, but it’s equally as good with raw veggies, pita bread wedges or even as a sandwich spread. However, you choose to serve it, I can guarantee it won’t stay around for long! Place the toasted, cooled walnuts in the bowl of a food processor. Pulse until finely chopped. Add the roasted red peppers, grated garlic, lemon juice, salt and pepper. Puree until smooth. With the motor of the processor running, drizzle in the olive oil. Puree until combined. Transfer to a serving bowl and garnish with parsley and chopped walnut, if desired. Serve with pita chips, pita bread wedges and/or raw vegetables. I’d love to make this. Any suggestions on a replacement for the walnuts? I’m hyper allergic to all tree nuts. Oh my, loojs absolutely yummy! Off to the store for ingredients!